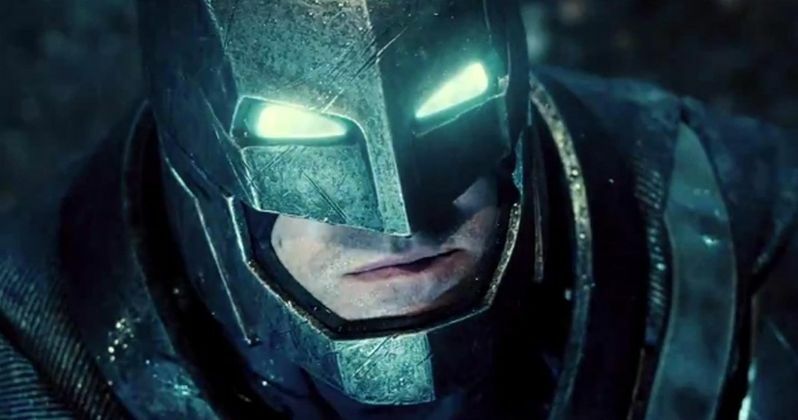 Why Is Ben Affleck the Perfect Batman According to Zack Snyder? His chin. His chops. His everything. No one is more happy about Ben Affleck's performance in Batman v Superman: Dawn of Justice than director Zack Snyder. And the filmmaker recently rattled off a laundry list of reasons why this is true. Speaking with People, Zack Snyder had this to say about his new leading man. "He's an amazing Bruce Wayne, let's just be frank about that. And then when he puts the cowl on, you know he's got the chin for it. Casting Ben felt like a no brainer to me. I know that there was some backlash, but he's just so perfect to me, especially in his size and his age." At 43 years-old, Ben Affleck is playing a much older version of Batman, with Christian Bale and Michael Keaton in their thirties when they first took on the iconic DC Comics character. This is a very different version of the Dark Knight than what we've seen before. And Zack Snyder believes this is the ultimate version of the /batman-v-superman-cereal/caped crusader. Though, the filmmaker does acknowledge the fact that quite a few fans were upset when Ben Affleck was announced. This version of The Dark Knight is loosely based on Frank Miller's seminal Batman: The Dark Knight Returns four-part comic miniseries. In that story, Bruce Wayne was in his 50s and on the verge of retirement. He is also depicted as being taller and more muscular than previous iterations of the character, something that has been reflected in Dawn of Justice. Zack Snyder went onto lavish his leading man with more praise, claiming that fans will have no problem with the actor once they've seen what he's done. "I'm sure once the fans discover it, they'll feel the same way I do. He's certainly got the chops for it, so I didn't quite get the initial reaction." While fans were upset upon initially hearing that Ben Affleck was the new Batman, their complaints quieted down once they saw the first official photo of the actor in costume. Zack Snyder remembers his feelings the moment that image was snapped on set. He had this to say, knowing he made the right choice. "I took that picture of him next to the Batmobile. When I looked at the back of the camera to see what it looked like, I was like, 'Holy s---, that is ridiculously perfect.'" So, do you buy into Zack Snyder's hype? We've seen the trailers, but does that footage prove just how great a Batman Ben Affleck actually is? Or do you think this is just a little too much hype and praise? Do you think Ben Affleck will be the best Batman of all time? Sound off in the comments below.